It has been a while since I bought any Barry M products, as they are quite out of reach around here. Happened to come across FTB Beauty sale on certain products from the brand, I grabbed a few eyeliner pens. They seem to be called “Intense eyeliner pens” on the web but the packaging simply says “eyeliner pens”, please note. 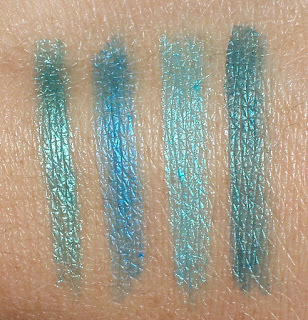 From top – bottom: 2 Aqua Green, 4 Royal Blue, 5 Kingfisher Blue and 3 Dark Emerald, reg. $7.99, on sale for $3.99 each. 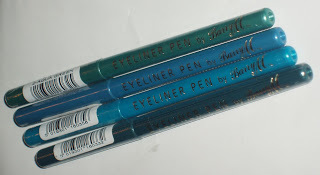 These eyeliners has got lots of raves on blogs but are no longer shown on Barry M website, I assume they are discontinued. Thought I should swatch them if you want to catch a few before they are gone. Shade names are printed on the bar code stickers which peel off with the safety wrap, and only shade numbers printed on the products. I’ll include both for your easy reference. The colours inside coordinate quite well with the packaging, and the retractable format certainly makes things easier. I am glad to confirm the waterproof/ smudge proof and long wearing claim on these liners. The swatches, once set, took some rubbing with makeup remover to come off. 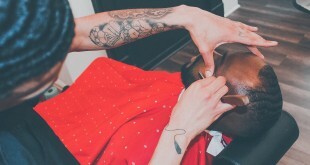 On the eyes, they last all the way till the end of the day! The texture, however, varies among shades. 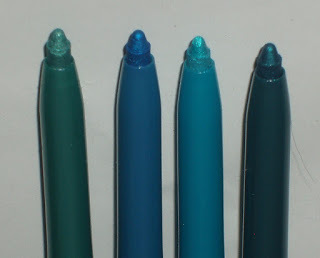 2 Aqua Green (far left) and 3 Dark Emerald (far right) go on smoothly with good colour intensity. 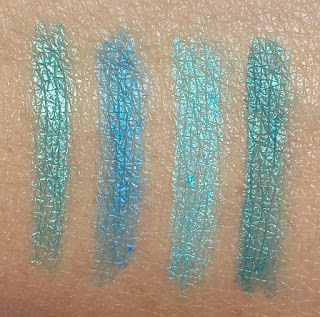 On the lightly patchy side when swatched are 4 Royal Blue (I wish it were darker, as per the name) and 5 Kingfisher Blue (harder to build up). However, they all go on the eyes quite well, not as soft as gel eyeliner pencils I have tried but not scratchy either. Stay tuned tomorrow to see the Barry M nail polish I bought. Update: Fatal Motorcycle Collision in Peggy’s Cove, Halifax, N.S.